Ashley from What’s She Reading? tagged me in this really fun and original book tag. I am hoping that by sharing the books that I want to read but have been avoiding, I will be motivated to pick them up by people in the comments. This is one of those series that people seem to either love or hate, and part of me is curious to see which side I would fall on. I have a feeling I will dislike it, so I just haven’t picked it up even though everyone else read it. We will see if I ever actually pick it up, because it is rare for me to read series as it is. American Gods is 635 pages, which doesn’t seem too long, but something about it really intimidates me. I have only read one other Neil Gaiman novel, The Ocean at the End of the Lane, and while I enjoyed it I did find myself struggling a little bit with the writing style. I need to be in the mood to read 635 pages of that style! I have owned this book for years and have not read it. I am a terrible Canadian and should be ashamed! Not even the TV show has motivated me to pick it up. It is strange because I have read quite a few books that have been compared to it. 2019 has to be the year! Jane Eyre was never required reading for me in school, but I really wish that it was because everyone seems to love it. It is one of those classics that I have only seen great things about. I truly can not believe that I haven’ read it yet. I have the audiobook so hopefully I will get to it soon. This is a newer release that I would like to get to sooner rather than later but is an absolute monster- 848 pages! I have the ebook so it will be easier for me to read. I am not a huge fantasy readers, so this brick of a book completely intimidates me. That said, I have a great feeling about it and really want to dedicate some time to it. This is another big book and I get the impression that it will be quite dense. I love a slow book though and really want to read this one. 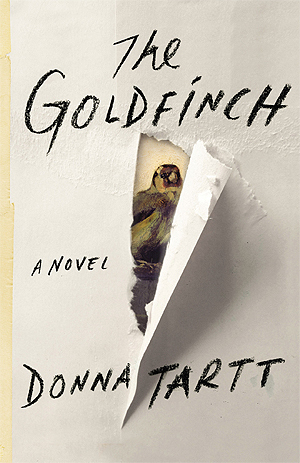 I have a feeling that Donna Tartt could become one of my favourite authors if I gave her books a chance; I do not know why I have been putting it up. I loved Sawkill Girls by Claire Legrand and am interested in ready more from her. She writes a lot of fantasy, which as I previously mentioned, is not my preferred genre. I have to be in the mood for fantasy, and that mood doesn’t stick very often. I have heard great things about this series though and the premise intrigues me. 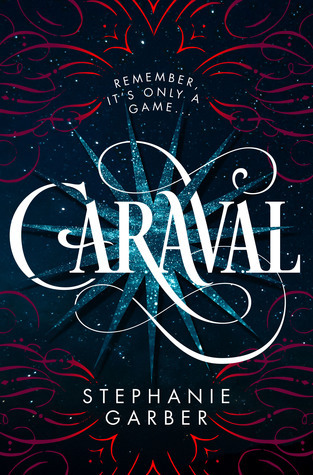 There are so many mixed reviews for Caraval, and from the reviews I have read I get the impression that I will not enjoy; however, there is something about it that calls to me. I think I just love the idea of a book set at a circus and the cover is absolutely stunning. If I can get my hands on an affordable copy I think I will give it a shot. Even if I don’t like it, it will look good on my shelf- so shallow! Oooh, do you mind if I do this tag and link back to you? I read handmaids tale for my a levels, it changed me. I was the only one in the class to understand it (and one of a handful to read cover to cover) it’s definitely a great book and although it’s not dated, dated, there is something in it that is very post 1970s feminism in it which an awareness of really helps in unpacking it- its a thinking not a dreaming book (nightmares!!) . 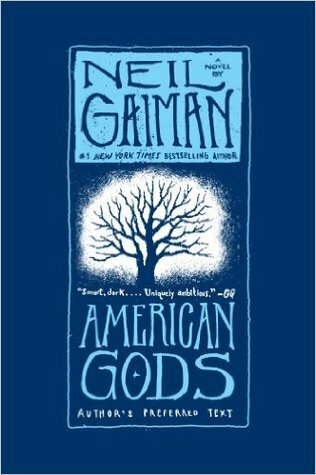 Neil Gaiman I would say give another go with something a bit lighter Stardust say which is about a third of American Gods to get the style and see if you want to try again. Thanks for your comment about The Handmaid’s Tale. I am very much looking forward to diving in to it. That is a great tip about Neil Gaiman. I do have Stardust on my TBR! I agree with many of these!! Jane Eyre and Caraval are both on my TBR that I would love to get to this year. And I really enjoyed the Handmaid’s Tale! I hope you get to them and love them! That is good to hear. It really is! I do not even know I would go about reading the physical copy. It is massive! 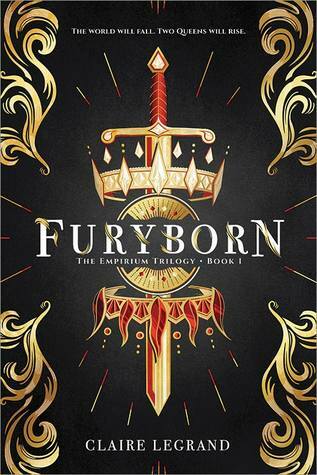 Oh, I loved Furyborn! I know it gets mixed reviews but it was my first Legrand novel and I enjoyed it so much. Definitely makes me want to pick up something else by her. That is great to hear! I really enjoyed her writing style so am anxious to read more from her. Most of these are on my shelf! 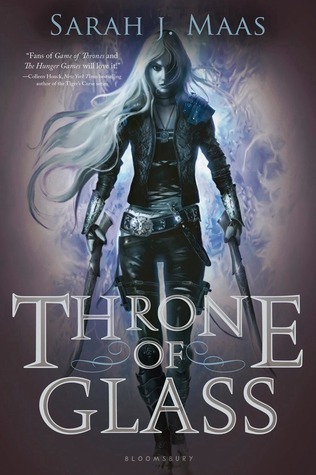 I think you’d enjoy Throne Of Glass. 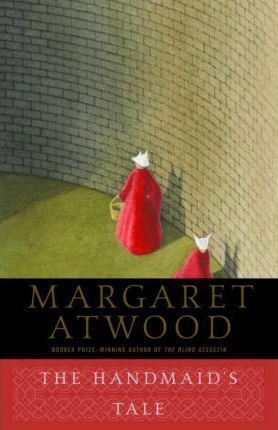 I read The Handmaid’s Tale year’s ago and enjoyed it. I’m also dying to read Jane Eyre, which I started years ago and was enjoying before I got distracted. That is good to know! I hope we both get to Jane Eyre one of these. So many books, so little time. A lot of people really love it! Nice set of books! 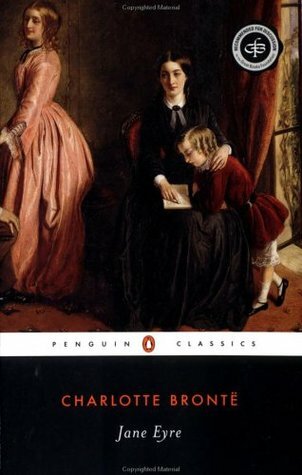 Jane Eyre was one of my favorite required books from high school – it starts off sort of slow, but it’s a great novel. That’s good to know! I have a good feeling about it. I felt the same about Throne of Glass. I ended up loving it! 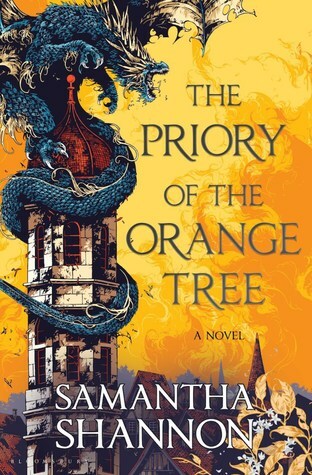 I am super intimidated by Priory of the Orange Tree. I haven’t seen many reviews yet but I’m patiently waiting!! Everyone is still reading it I guess! It’s a beast! Oh I really hope you like Jane Eyre if you get to it!! I have a good feeling about it! I was never a big classics reader so thought Jane Eyre would be a slog when I had to read it for a college class, and then I ended up loving it! One of the very few classics I felt that way about it. Hope you’ll get to it! That’s good to hear. I’m always intimidated by classics but find I enjoy them when I finally get around to them! Thank you! Hopefully I will be in the mood to pick them both up at some point this year. Jane Eyre is definitely required reading as is The Handmaid’s Tale. I highly recommend leaving any show-based assumptions about it at the door, though. It’s fairly accurate but not entirely. That is good to know going in. Thanks! Awesome tag, Kristin! ❤️ I personally really enjoyed the ToG, so I hope you adore it if you ever read it some day!! Priory and American Gods intimidate me as well! Large books are truly frightening. Haha! Hopefully I’ll muster up the courage to read both soon! That’s good to hear. Hopefully we both get to them soon and enjoy them! That’s for all of your thoughts on these books! I have a feeling the same thing could happen with me with American Gods. I have heard mixed things for sure. I think I should probably start with Secret History. I’ve only heard good things about it. Now that one, I haven’t read! I’ll have to look that one up!